Willow (Salix spp. ): growing, planting, caring. Did you know - willows take root very readily from cuttings? The poet Alexander Pope planted a twig he received from Spain that throve, and legend has it that all of England's weeping willows are descended from this first one. Scientific name : Salix spp. Salix - the willow - is a genus of around 400 species in the family Saliceae, found in moist soils in cold and temperate regions of the Northern Hemisphere. 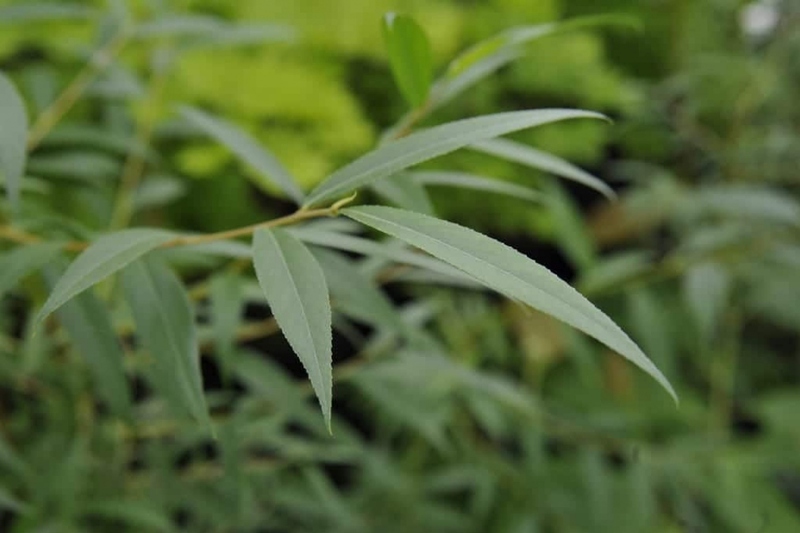 Most species are deciduous trees and shrubs with typical elongated leaves - but as willows are very cross-compatible numerous hybrids exist, both naturally and in cultivation, like Salix × sepulcralis - the weeping willow - a hybrid of Salix babylonica - Peking willow - and Salix alba - white willow. The willows are trees or dioecious shrubs with simple leaves, alternate, toothed. They carry erected catkins, usually before the leaves appear. Some have weeping habit. Plant in fresh soil, well drained, deep, not too calcareous, in the sun. The planting in bare root is done only in winter, while you can plant clumps and trees in container until spring. In bare root, shorten otheroots, and soak them in a mixture of earthsoil and compost. Plant in a hole at least 20 cm larger than the root ball, gradually putting the crumbled soil back, and tamp regularly around the roots. Water right after planting with at least 50 liters of water that you pour into a bowl formed around the trunk. A stake planted in the hole, inclined, facing the prevailing winds, will be useful. Use a suitable flexible attachment. There is no need to prune willows. Nevertheless, in winter you can cut the intersecting branches, and the dead branches. For the willows with decorative bark, and flamingo willow, a severe folding at the end of winter is positive, as it will favor the colors. If your willow is planted in dry soil, mulch it every spring with crushed wood.